Divorce, in and of itself, does not necessarily hurt children. In fact, sometimes separation or divorce can be the best choice for a family. Even so, the transition is often hard for everyone involved. Keeping in mind these three key points will help the transition go much more smoothly. 1. Do not argue or express anger at your ex in front of your children. 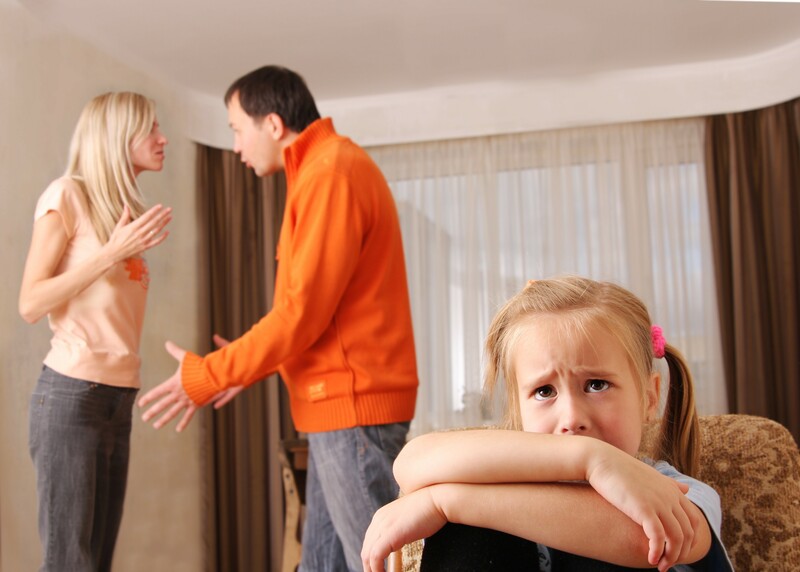 Studies show that parents’ conflict hurts children. One of the greatest gifts you can give your children is to treat your ex-partner with respect, especially when your children are present. When you argue with your ex in front of your children, it can confuse them, force them to take sides with one or the other parent, and model the kind of relationship that we don’t want for them. Instead, address conflicts with your ex when the children are asleep or away. Your kids may not say these things to your face. They may even state angrily, “I am glad you are not together anymore!” Know that deep inside, they are hurt by disrespect and conflict. 2. Prioritize your children’s needs. Divorce can make a child feel like his or her world is falling apart, but studies show that kids whose parents prioritize their needs during the divorce process do well. Kids need us to care for and protect them. If you have multiple children, know that sibling fights often evolve from their emotional tension. You need to be their safety manager, not a judge. When there is a fight, be there for both the aggressor and the victim. Deep inside, they both need our connection and a chance to reconnect with each other. Kids want to have fun and play. Especially when things are tough, aim for humor, fun, and play. Keep their friendship and connection with family members and friends going strong, so the play and fun continues. When you don’t have time for play, think of a way to lighten up everyday moments in your own way. Is it singing a song together walking to school, playing music after a meal and dancing together, or having a staring contest in the waiting room at a doctor’s office? Although small, these moments of fun and play with you can signal to children that all is well and safe. Share good news routinely. Before bed or at a meal, ask questions such as “What was one highlight from today?” “Tell me what you liked about xyz.” “What are you looking forward to?” Be sure to share your own story too! 3. Acknowledge and get support addressing your own emotions. Your emotional well-being is key to helping your children navigate their new family situation. “Children are barometers of a parent’s emotional well-being,” writes Kathleen O’Connell Corcoran, PhD, nationally recognized mediation practitioner. Take the time to journal, talk with a friend, or get professional support, if needed. We Solo Moms matter more than we give ourselves credit for in our kids’ lives. We matter in the way we interact with our ex, our kids, and ourselves and our emotions. To find out more about parenting through separation and divorce, visit Kids’ Turn, a nonprofit that provides online classes, workshops, and publications, as well as in-person services in Marin, Alameda, Contra Costa, San Mateo, and San Francisco counties in California.